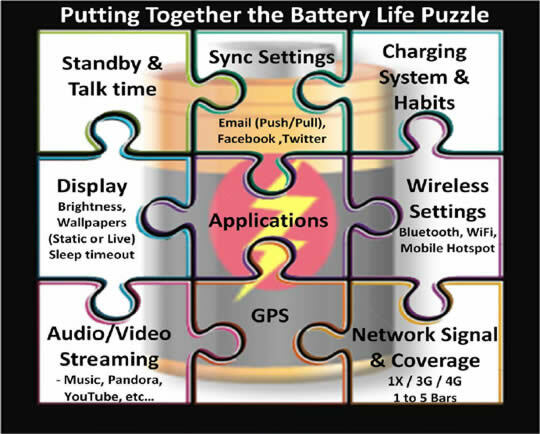 Extending battery life is like completing a puzzle. All of the pieces are important. In order to maximize battery life, all of the pieces must fit together. 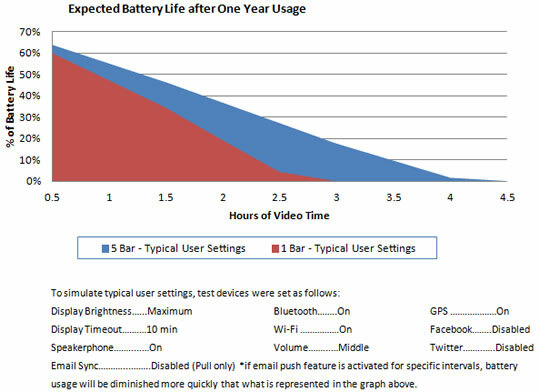 Think of your phone's battery like the gas in your car. Your make/model may be rated for 25 MPG but actual mileage will vary based on your usage. Are you driving 70 MPH, uphill, A/C blasting, towing a trailer? All of these variables will reduce your actual gas mileage, just as all of the pieces in the battery puzzle will impact your phone's battery life. The example below shows the battery life impact of strong network signal (5 bars) versus weak network signal (1 bar) on a smartphone. The My Verizon app has a device health check feature that helps users access device specific info. From the Home screen, tap the My Verizon app. Tap Manage to choose the appropriate device. From the Manage tab, tap Run health check. The Troubleshooting Assistant contains general and device-specific steps for troubleshooting battery issues.